HMCS Discovery and the buildings in the West End of Vancouver, British Columbia, Canada. Photographed from Vancouver’s Stanley Park. HMCS Discovery is a Royal Canadian Navy Reserve facility built in 1944 on Deadman’s Island in Coal Harbour, Vancouver. The view of HMCS Discovery is better from the Stanley Park side, though the island lies just south of Stanley Park itself. 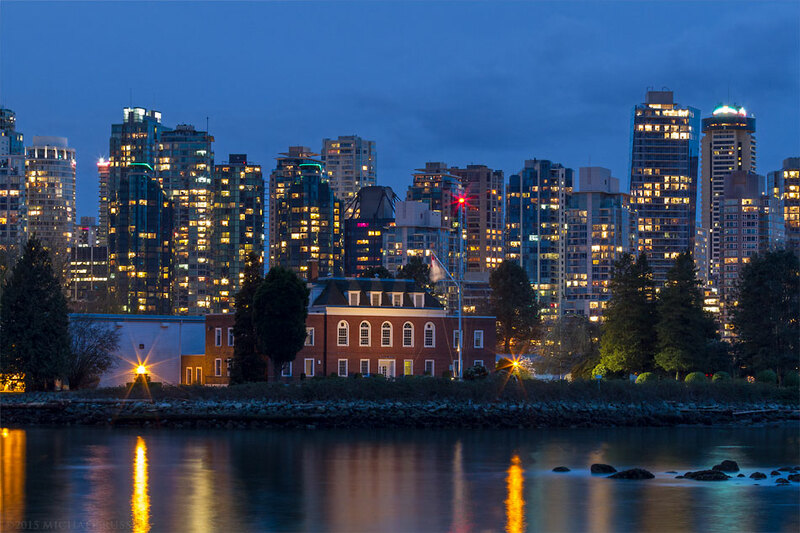 I made this photograph in the early evening with the lights of both the Deadman’s Island buildings and the tall apartment buildings in West End of Vancouver reflecting on Coal Harbour. For more of my Vancouver photographs visit the Cities and Buildings Gallery in my Image Library.